Bosu is a fitness training device shaped like a hemisphere of inflated rubber with rigid base. Sometimes, this is referred as ‘Blue Ball’. This kind of fitness equipments are used for sports persons and balance training. Upper dome of the Ball offers unstable surface while the flat surface remains stable. The device can be used for athletic drills and acrobatic activities. Since the equipment is unstable it requires body intensity and muscle strength requiring you to engage your core muscles in order to maintain balance which improve postural stability and static and dynamic balance. Now days it is in great use to train your body and improve the mental and concentration power. 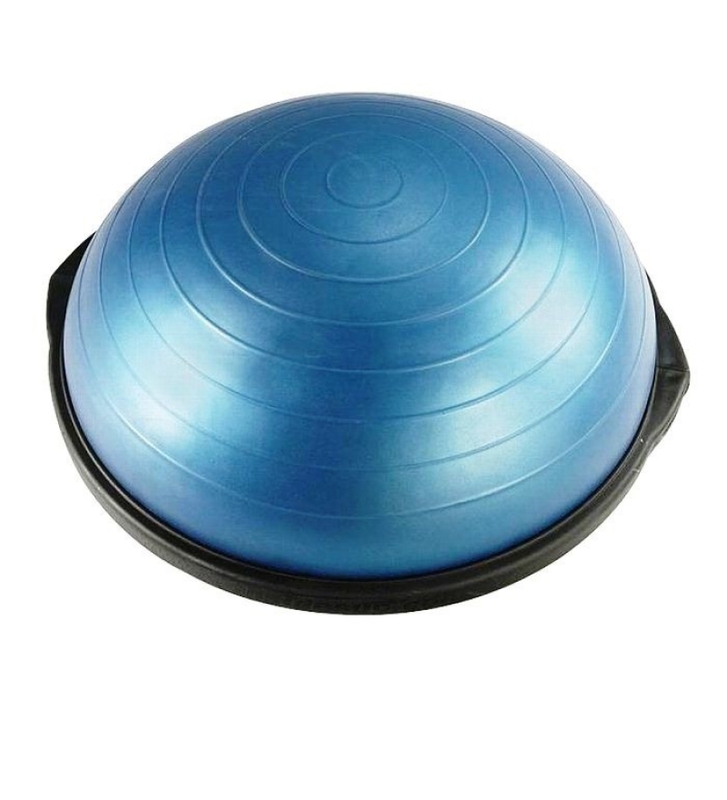 With the dome side of the Bosu upwards it is stable and can be used for athletic drills and aerobic activities. As the name suggests, the device can also be flipped over so that the platform faces up. In this position, the device is highly unstable and can be used for a wide array of exercises as well. Nantong Jinruite Technology Development Co Ltd.
Hefei Dayu Fitness Co Ltd.
Wuxi Honfon Plastic and Rubber Products Co Ltd.
Yongkang Elina Sports Equipment Co Ltd.
King Fitness Technology Co Ltd.